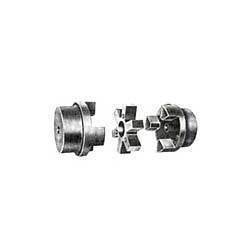 Being a customer focused organization; we are engaged in manufacturing and supplying superior quality Jaw Couplings. The range we offer comprises of two hubs connected by flexible spiders. The advantages of this coupling are easy installation, no lubrication, no metal to metal contact, and built in flexibility for angular and parallel misalignment.